Made of chestnut wood and glass. Size: 180 (height) х 170 (bowl diameter), base diameter is 85 mm. 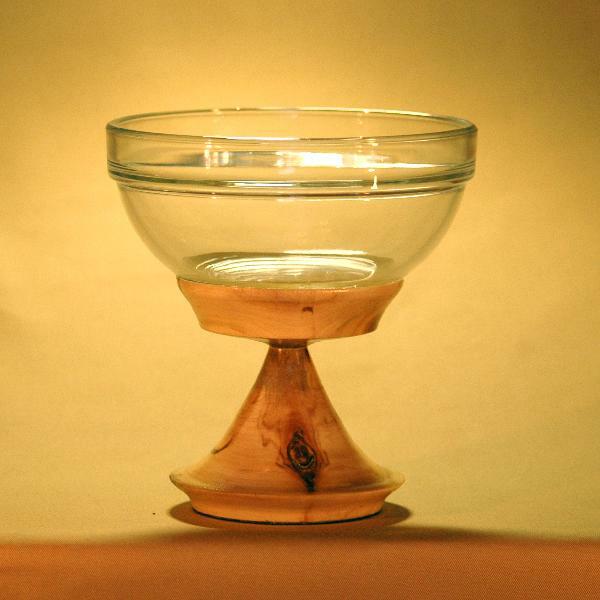 A 17-cm glass bowl on a tall massive base. Can be used as a fruit vase or a salad bowl. Looks great on any table, makes a breat birthday or housewarming gift. &apos;Festive&apos; vases of other sizes can be found at: 05033, 05034. Price for set of three vases (05032, 05033, 05034) - 3700 RUB.